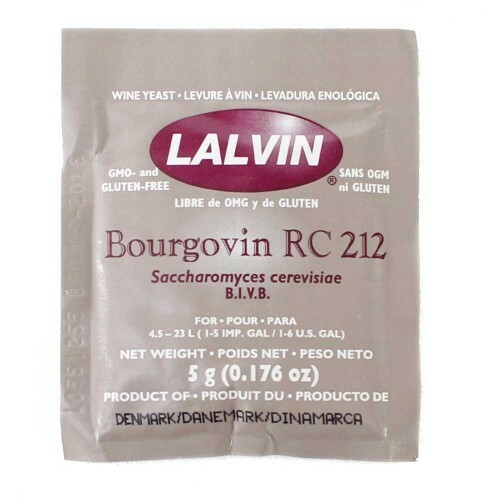 RC 212 Lalvin Wine Yeast - Texas Brewing Inc.
RC 212 is a low-foaming moderate-speed fermenter with an optimum fermentation temperature ranging from 20° to 30°C (68° to 86°F). A very low producer of hydrogen sulfide (H2S) and sulfur dioxide (SO2), the RC 212 shows good alcohol tolerance to 16%. RC 212 is recommended for red varieties where full extraction is desired. Lighter red varieties also benefit from the improved extraction while color stability is maintained throughout fermentation and aging. Aromas of ripe berry and fruit are emphasized while respecting pepper and spicy notes.